Editor’s note: October 10, 2013 is the 40th anniversary of the death of Ludwig von Mises. Each year in early October, the world looks to Sweden and Norway, where the annual Nobel Prize winners are announced in the fields of literature, medicine-physiology, physics, chemistry, and peace-making. The great Swedish entrepreneur, Alfred Nobel did not sponsor a prize in economics, and the committees sponsored out of his estate did not grant any such prize until the present day. But there is a “Prize in Economic Sciences in Memory of Alfred Nobel” which is sponsored by the central bank of Sweden. Since 1969, that prize has been granted every year in early October, too. The timing and the labeling of the prize, as well as the fact that its laureates are selected by the Royal Swedish Academy of Sciences, which also picks the other laureates (except for the peace prize), have misled people all over the world into thinking it is the real thing. Like counterfeit banknotes, the economics prize has been circulating among the unsuspecting public. Alfred Nobel did not intend to sponsor a prize in economics. Apparently, neither did the Swedish central bank. Its prize has usually been awarded to scholars specializing in applied mathematics, or applied psychology, or in the art of playing with statistical data that goes under the name of econometrics. Very rarely is it awarded to scholars who actually spend most of their time thinking about real-world economic problems, and almost never to anybody who has anything new and important and true to say about the real economy. It is true that many laureates were very well versed in economics, but even they did not, as a rule, obtain the prize for any contribution to that discipline. The problem with the “dismal science” of economics is well known. It mercilessly exposes and dispels the myths that have been invented to justify central planning and government interventionism. This flies in the face of the very institutions that finance and award the Prize in memory of Alfred Nobel. The Swedish central bank is institutionally committed to central planning in money. It can hardly be expected to print and spend millions of kronas on research that is useless — and potentially nefarious — from its very own point of view. Moreover, Sweden has been ruled by socialists for most of the post-war period. 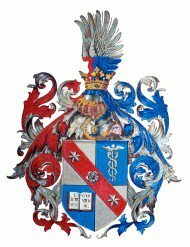 The venerable Royal Swedish Academy of Sciences was not immune from this tendency. Unsurprisingly, the economics prize has always been heavily biased against economists who oppose the fiat-money foundation of the welfare state and of the warfare state. The facts speak for themselves. With the notable exception of F.A. Hayek (laureate in 1974), none of the prize winners is on record as an outspoken critic of central banking and monetary interventionism. And even Hayek came out of the closet only after winning the prize, publishing Choice in Currency (1976) and Denationalisation of Money (1977). Unsurprisingly, two giants of economic thought, Ludwig von Mises (1881-1973) and Murray Rothbard (1926-1995) did not obtain the economics prize in memory of Alfred Nobel. Mises, who was arguably the greatest economist ever, died at the very moment when that prize was awarded for the fifth time. On the occasion of the 40th anniversary of his passing, it is appropriate to commemorate his achievements and to highlight his lasting legacy. Ludwig von Mises is well known as a fountainhead of the revival of classical liberalism and libertarianism after WWII. But his influence on contemporary political thought was based entirely on his groundbreaking contributions to social analysis, and to monetary economics in particular. At the very moment when inflationist ideas had made their intrusion into the academic world and were about to supersede classical economics, Mises revolutionized the theory of money. He was the first economist to develop a full-fledged explanation of money prices, and he was also the first to develop a comprehensive analysis of the causes and consequences of money production. His work renewed and greatly reinforced the case against monetary interventionism, which had been at the heart of classical economics. Before Adam Smith, public opinion was infused with the notion that the volume of spending (in today’s Keynesian jargon known as “aggregate demand”) drives the economy. Politicians and businessmen therefore strove to increase the national money supply in order to promote production and growth. Smith argued that this was all wrong. The true causes of aggregate wealth were to be seen in the division of labor and in a frugal lifestyle. Policies designed to increase the national money supply by encouraging exports and hampering imports were ineffective. They impoverished the nation rather than to promote its growth. This thesis inspired the intellectual movement known as classical economics. It has also inspired the economists of the Austrian School. When Carl Menger developed his price theory based on the rock-solid foundation of subjective value, he did not seek to overthrow classical economics root and branch. What he did was to repair one fundamental shortcoming of classical price theory, and in so doing he solidified the overall edifice. Eugen von Böhm-Bawerk reinforced the classical teachings on savings and capital by analyzing the role of time in the production process. 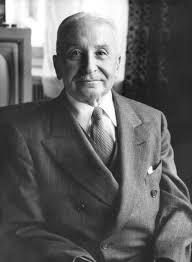 At the beginning of the 20th century, then, Ludwig von Mises completed the Austrian revision and reconstruction of classical economics with his theory of money. Adam Smith had neglected money because neither the demand for money, nor the supply thereof were to be counted among the causes of the wealth of nations. Many of his disciples — especially the great David Ricardo — delved into the matter in more detail. But their writings suffered from the Achilles’ heel of Smith’s theory: his cost-of-production theory of prices. They could therefore not quite come to grips with the economics of banking, and the practical consequence was a never-ending sequence of booms and busts. This practical failure in the field of money and banking eventually discredited the entire edifice of classical economics. Inflationist doctrines made a comeback, first creeping (second half of the 19th century), then galloping (around WWI), and eventually triumphing in the 1930s. Mises did not develop his theory of money in order to come up with classical-liberal practical conclusions. Quite to the contrary, it took him a while to understand the political implications of what he had found. The first edition of this monetary treatise (1912) is actually quite tame in that respect. It is only in the second edition (1924) that Mises starts to hammer the anti-interventionist implications of his work in monetary economics. At about the same time, he had begun to delve into other areas of research, most notably into the analysis of socialist and interventionist systems of government. These works brought him great fame, and they were instrumental in converting an entire generation of young intellectuals — such as Hayek, Haberler, Machlup, Morgenstern, and Robbins — to classical liberal ideas. But his monetary thought would always remain the backbone of his thinking. Eventually he would present it fully developed within a general theory of human action (Nationalökonomie, Human Action). It was Mises’s personal misfortune that, during all of his life, his economic and political ideas were thoroughly out of fashion. But, precisely for this very reason, his legacy is lasting and strong. Today the ideas that Mises had painstakingly refuted have run their course. Inflationism, socialism, and statism have spelled misery, corruption, and chaos. Reading Mises enables us to understand this world, and it helps us to see the road that leads out of these quagmires. Jörg Guido Hülsmann is senior fellow of the Mises Institute and author of Mises: The Last Knight of Liberalism and The Ethics of Money Production. He teaches in France, at Université d’Angers. See Jörg Guido Hülsmann’s article archives. You can subscribe to future articles by Jörg Guido Hülsmann via this RSS feed.